UPDATE: As several you have pointed out, this is part of the "Arcade Archives" range which is listed on Nintendo of America's official site. ORIGINAL STORY: Yesterday Nintendo revealed that the Switch Virtual Console won't be active at launch, with more information on the service coming in the future. 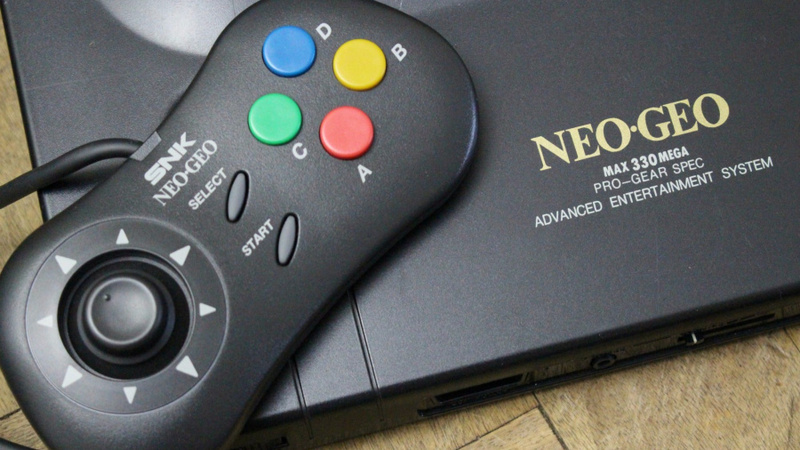 However, we may not be waiting that long, as over in Japan it has been confirmed that Neo Geo games will be available in March. King of Fighters '98, Metal Slug 3, Waku Waku 7, Shock Troopers and World Heroes Perfect are the games currently confirmed for release on the Switch as digital downloads. The arrival of these retro classics on the Switch may suggest that the Virtual Console could be up and running during the launch month, but it could be that these are considered as separate releases from that service. Hamster - the company publishing these games on the console - have previously released Neo Geo titles on other consoles. However, on the original Wii, Neo Geo was supported as one of the Virtual Console formats. The release schedule also confirms that Blaster Master Zero will arrive in March as well, alongside the music title VOEZ. This is great news as well! The Japanese may have 20 launch games but nearly half of them are old. Could there be a link with http://www.ign.com/articles/2017/01/13/arcade-archives-announced-for-nintendo-switch ? What I mean is "are we sure it is VC?" This is looking less likely as VC and more likely as a retail release. Old games can't be awesome? This is good news. Snk made some really good games. @ElGrego I was thinking the exact same thing. Hamster have released Neo Geo games on PS4 as well, just as regular releases in the PSN store. @kingc8 They can of course but we've played most of them elsewhere. Sweet! Sometimes I dug out my ancient Xbox to play Metal Slug 3. Will be nice to play it on the go in 2018 when I look at getting a Switch. They are renaming the service, trying to rebrand it in a positive light? @SLIGEACH_EIRE At least getting the old games is better than not getting them. Wow King of Fighters '98 takes me back, to my old after school Arcade days. The VC was big news when it was announced for Wii. VC is not one of Switch's selling points like it was for Wii. It was exciting, now it is not. Gamecube aside, haven't most Nintendo fans played all the classics they wanted to play by now? New Nintendo fans that I know aren't too bothered about the old games as there's plenty of recent ones to enjoy, and the older fans have already paid for them multiple times. Virtual Console is a good thing, but I think its importance is massively exaggerated by fans. I'd rather see money spent on quality new titles than on emulating old ones. Ideally I'd have both, but I get the impression Nintendo can't afford to do both based on their output the last couple of years and the Switch line-up. As am aside, I'm as ravenous for Gamecube vc as anyone. I'd argue that there are many SNES, N64, GBA that are treasured that have yet to be released on any VC. Perfectly summed up. I was really hoping to be able to play Mario Sunshine to keep me going till Mario Oddessy comes out but other than that I've pretty much already bought the older games I want from the NES, SNES & N64 era. It'd be nice to be able to transfer them to my switch & play them on the go but only if we can transfer them for free. I see Nintendo is still going to show Japan all the love and leave the rest of the regions in the dark. @SLIGEACH_EIRE Nintendo are trying to attract new people to gaming. Get your head outta your proverbial and let others enjoy stuff. Jeez, most comments you make are just selfish and redundant! I won't be picking most up (although KoF 98 is always difficult to say no to) but the more the merrier I reckon. It's still confusing. They keep signaling this air of mystery around the VC, and then just kind of matter of factly drop Neo Geo games on the eShop. It's hard to tell as others said if this is "VC" or if they're just putting retail releases on the eShop of old games. It's either proof that all the mystery is for nothing and VC is the same old VC. Or it could be proof that "VC" is going to be something radically different than the way we know it. Well they claim their an entertainment company first, and the old rule of showbiz is "Always keep 'em guessing." @bezerker99 Well, it's region free, so you can just create a Japan account and buy them too now. That makes life slightly easier. I would love a cart of arcade games. A few volumes, then I'd buy the switch arcade stick for sure. These are all on Android TV. I am guessing these are Android TV ports. 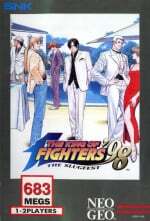 Honestly KOF 98 makes sense for the Switch since it was probably the most balanced KOF and is less a classic and more a competitive standard, with two joycons it would be great. SNK needs to remaster KOF 98 and 2002 for widescreen though. If they're digital releases.doesn't that mean that they'lll be avaibable worldwide since there's no region-locking? @NEStalgia I thought that was just for retail releases. Wasn't sure that was applicable to VC games. That would solve the problem. These games were already confirmed to be arriving in March a day or 2 after the presentation.I actually made an Arcade Archives thread in the forums about it at the time.Apparently they are all coming to the west starting with KOF 98 in March. @darth2d2 I have King of Fighters: Dream Match 99 on my Dreamcast which is the KOF 98 port. Love that game. It doesn't have the silly cheap bosses either. Would love to get it on Switch for portable play but playing KOF without a D-Pad is a problem. I really need to see reviews on how this plays. Same with metal slug. Portable play is awesome but I need to hear how it controls. Nintendo really to get d-pad joy-con in shops. "We may not be waiting that long"
What are we kidding? Japan's going to get this stuff right away and we'll have to wait 6-8 months. @UnseatingKDawg See my post above,they are apparently arriving worldwide starting from March. Since these are not VC releases, hopefully they would at least offered online play for some of them. This is the Arcade Archives retail release just getting an eShop release. No evidence of the Virtual Console, but still nice to see emulation allowed. Wasn't it rumored that Nintendo barred emulation of any sort from previous online storefronts, basically to force publishers to participate in the Virtual Console program, and thus limiting digital emulated content to the platforms that Nintendo themselves have decided to support in the process (No Vectrex Regeneration port, for instance)? @kobashi100 Same concern here. I am hoping that the analog sticks will work well until there are proper fight sticks made. @JohnnyC I definitely think there's no space for VC on Switch. Really how many times were gonna pay for the same thing ? time to make a japanese account then. we can do that, right? they confirmed? 8 accounts, one switch? @Damo? Shock Troopers is the ship! Pretty sure this is the first time this game is available outside of a compilation. Pretty excited abiut Blaster Master Zero too. Does anybody have a clue if Japanese eShop purchases are possible? I feel like I read somewhere you go to the store based on your IP address, but this seems pretty easy to subvert. KoF 98, Waku Waku 7, Metal Slug 3, all on the go! I can't wait 'til we get this in the west! What I want to see is a full transfer of all existing virtual console titles already owned on my Nintendo network account in Wii U.
I then want to see the N64 and Wii catalogue expanded. I then definitely want to see the addition of the Gamecube back catalogue steadily. 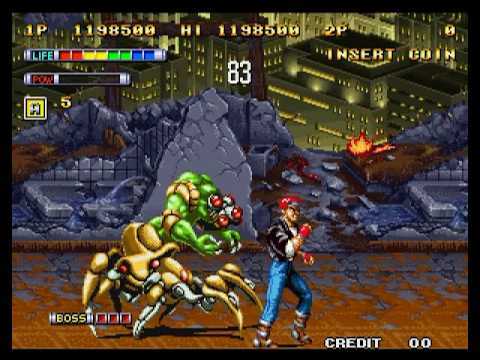 @Spiders Shock Troopers is on Wii VC.It didn't appear till late 2012 though,just before Wii U launched. @JohnnyC To be honest, no. There are just certain games that are linked to my childhood that I will always go back and replay. Final Fantasy IV and VI, Legend of Zelda, Dragon Warrior/Quest, Super Mario World, Super Mario Bros 3, Link's Awakening, Super Mario Land 2, Street Fighter II/Alpha 2 and countless others that I am perfectly happy to keep returning to. Yes, their controls and UI are archaic but there is just something to them like a great novel that calls me back time and again. That isn't to say I don't like new things also, just that there is plenty of room for the Nintendo Classics to still be relevant. Yes, give me all the neo geo games..... my precious. @bezerker99 Technically since they aren't confirming anything about the eShop at all, we don't know that for absolutely certain, however since you're creating the same Japanese account that everyone in Japan is, it really wouldn't be possible to not give you the Japanese eShop. The only sticking point would be billing, since if they block international transactions, CC's wouldn't work. But there's no reason to believe buying a prepaid Nintendo card (physical or digital) wouldn't be valid to add credit to the wallet. And they did confirm that the wallet is now shared between WiiU and Switch via the Nintendo Account. That's welcome news but that has nothing to do with VC at all methinks. I want to be able to experience Mario Sunshine and Luigi mansion. That's awesome. SNK have been releasing arcade Neo Geo games on PS4 and the started doing the same with Xbox One. That's great that they are coming to the Switch, I would definitely pick them up. It might be too much, but online play would be a great if added in. I might need to pick up an arcade stick for Switch. I don't think it will be VC games, I think it will be just like what is on the playstation 4 and it will be Arcade Archives on the Switch. @Spiders Its on the Wii VC too, along with its sequel. It might of also had an online digital PS3 release in Japan as well. They're probably doing their own thing outside of VC so that maybe they don't have to apply to the whole "Discount for owning it on the Wii" thing (Which I doubt if there are discounts, they go as far back as the Wii, but who knows right now?). I believe when they released Neo Geo games on PS3, they all had online so its safe to assume these will as well. Neo Geo games... so there is a Virtual Console after all. @shonenjump86 There was a leaked Hori product sheet with an arcade stick, and all the specs and packaging lined up with the products that have since been made available like the LAN adapter. I'm guessing it won't be available until Ultra SF II or (fingers crossed) Mahvel. All 5 are great games. Hope for decent pricing, prefeably as a bundle, as these aren't VC. Good to see, but I don't need them, got the real thing in all its 6ft glory next to me here. @OorWullie Due to previous experiences I have jumped the gun on the assumption of this date of release. Thanks for the info. Blaster master was my SHhh as a kid on nes. I never beat it, but got pretty close! Later in life I tried to play it again and it didn't capture me at all. I am not getting excited about Zero - I wish they had done like 16 bit graphics or something. @SLIGEACH_EIRE Not everyone has. 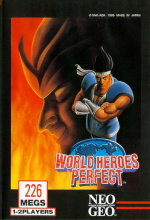 I for one have never played World Heroes before, and I'm a fighting game fanatic. And chances are, you haven't played Waku Waku 7. Now you'll have a chance to rectify that. I see comments saying no one cares about the VC or aren't we done with those games now? LoL, we will never be done with amazing classic games. That's why the nes classic won't stay on shelves. I've played through the original Legend of Zelda dozens of times because I love it. Same with the first final fantasy and mega man 1 - 3 and super MARIO 1 through world. They remind me of being a kid like I imagine a game of baseball reminds my dad of being a kid in the 50s. I hope they get the VC up and running soon, and not as a drip feed cash grab again but in an iOS App Store style that has some dignity to it. Until then I have my nes classic mini to scratch the retro itch. I call that good news, roll on more non-nintendo systems! I'm very confused... wasn't Blaster Master Zero coming to 3DS?? Was it moved to Switch only? Very cool and unique to start off the system with arcade downloads! These will be great a start to Joy-Con multiplayer's attraction purposes. I am not convinced that these are actually VC titles. Neo Geo games have also been rolling out on PS4 and Vita over the past few months. Plus, I doubt that Nintendo would launch the VC service on Switch with games for a non-Nintendo machine. @Spiders yes, I heard about the Hori arcade stick for Switch, I'll pick it up if I get a Switch. 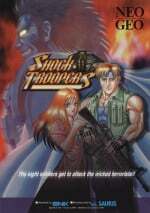 Also, Shock Troopers was released on PS3 as a single download with a few other Neo Geo games. I thinks it's also on the Wii VC. I dont care if games from vc or mother goose. As long as we get them. @AlexSora89 They aren't VC games. They're coming to the west starting with KOF'98 in March. Does this mean that we'll get Mega Drive/Genesis games too? @G-Boy if we do, I'm hoping for Sonic 1, 2, 3, & Knuckles, Samurai Shodown, Golden Axe, Altered Beast, Mortal Kombat, Skitching, & Revenge of Shinobi. I don't know if this is proper Virtual Console stuff or basically just few Neo Geo ports to the eShop, so I'm basically still waiting to see the VC proper. . . . It is, however, cool to see these three Neo Geo games coming to the system regardless of exactly how. Well, as the saying goes, "if Muhammad doesn't get to the mountain...". 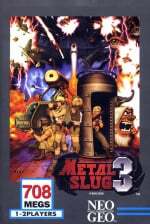 Nice I'll get to play metal slug 3 for te first time... if this is coming to the west.. Considering it took years for Turbo Graf-X games to come to WiiU after Japan got them, (and we still don't have the 3DS versions) I'll be amazed if they ever come out outside Japan. These games are certainly not part of the Virtual Console, but instead part of the Arcade Archives by Hamster and Nippon Ichi Software. The good thing about this is that all these games just take up 1 slot in the SWITCH menu as they are going into the Arcade Archives "folder" instead of taking up 51 slots (one for each game). This is helpful especially if SWITCH is another system with a max of only 300 game slots which would get into the way of collectors. I hope Nintendo's own Virtual Console will have a similar kind of "hub" on SWITCH as well. A lot of these Arcade Archives games would be a great addition to the Switch library but the lack of a D-pad on the Joycons could be a problem. I don't know if I'll download any (when I buy a Switch, wich won't be soon), but its at least better then yet another run of the nes/snes vc games seen on Wii and Wii u! I hope we see Bomb Jack in EU. It's such a great example of an arcade game. Great even though they all came out on a wii disk years ago.